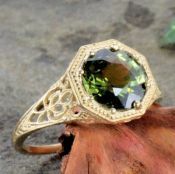 Here at jansjewells.com aka Janeliunas Jewelry you will find affordable antique, Victorian and reproduction jewelry, antique Victorian jewelry, antique engagement rings & vintage estate jewelry. Choose from our fabulous range of merchandise which includes platinum, gold and sterling silver antique filigree reproduction rings, made to order filigree, Art Deco ring settings and finished jewelry. Art Deco filigree style engagement rings, Victorian style wedding bands, Edwardian filigree, Art Nouveau, estate jewery, vintage costume & vintage vanities. We also offer jewelry supplies, findings & vintage findings for jewelers or crafters. Whether you are a collector or just share an appreciation of antique, Victorian and vintage jewelry you are sure to find the perfect piece. For quick look ups use our keyword search to enter an item # or find a product by keywords. 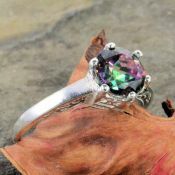 Jansjewells.com is the popular antique reproduction jewelry and Victorian style jewelry destination. We will help you find the perfect item by providing expert jewelry and gemstone advice (GIA Gemologist owned), comprehensive jewelry information pages, mail list membership with insider shopping tips on discounts and sales... Not to mention a vast collection of jewelry at really great prices!